The SAA Museum is based at the "Old Transvaal Aviation Club" premises at Rand Airport, Germiston. Founded in 1986 by the SAA Museum Society the aim of the museum is to preserve the history of civil aviation in South Africa. The Museum houses a large collection of aviation memorabilia and displayed in its static park are amongst other classics airliners a Boeing B747-200 and B747-SP. The museum also owns two operational Douglas DC-4 Sky masters, a Douglas DC-3 Dakota and a Junkers Ju 52/3m. These classic propeller-driven aircraft are used for safari charters to Southern Africa's exotic tourist destination as well as for scenic flights around Johannesburg and environs. On Sunday 14 September 2014 another classic was added to the collection when a Boeing 737-200 (Advanced) was flown into Rand Airport by Captains Dennis Spence and Glen Warden. Also on board was Rodger Thomas who acted as safety officer. This was Captain Spence's third ferry of a museum aircraft into Rand Airport. 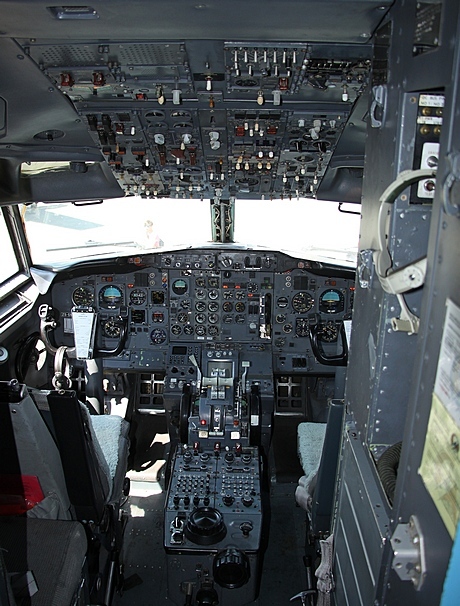 He was also in command of the 747 -200 and SP that are currently displayed at the museum. The 737, construction number 23472, was first flown on 20 January 1986 and entered service with Air New Zeeland on 21 February 1986. She was the fourth Air New Zeeland B737 to be fitted with a "hush kit". During her 28 years she served with Aviasca in Mexico, Celtic Capital, Star Air Cargo, Air Namibia, LAM in Mozambique, Proflight in Zambia and was also occasionally used locally by Mango. 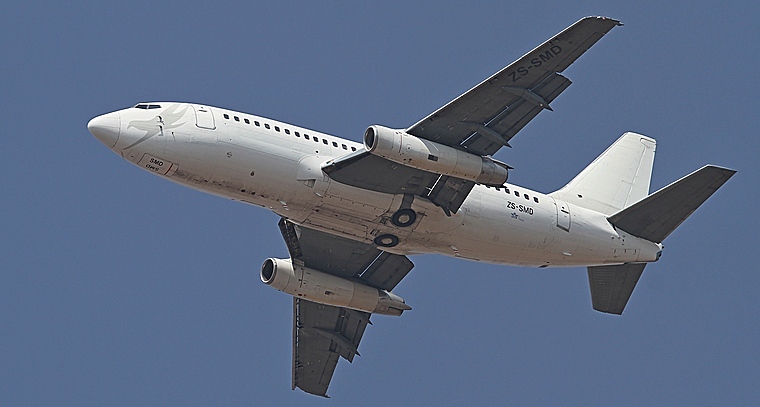 The owners of ZS-SMD are Bravo Capital in Association with Star Air Cargo (Pty) Ltd. Star Air Cargo is a South African registered company with a Part 121 Domestic and International Operating Certificate (AOC). The company specialises in the leasing and operating of Boeing 737-200 and 737-500 aircraft on short to medium term contracts. After 28 years SZ-SMD has reached the end of her economical life span and instead of being crushed and sold as scrap metal Star Air Cargo donated her to the museum where she will share space with her much larger sisters and be preserved for future generation. 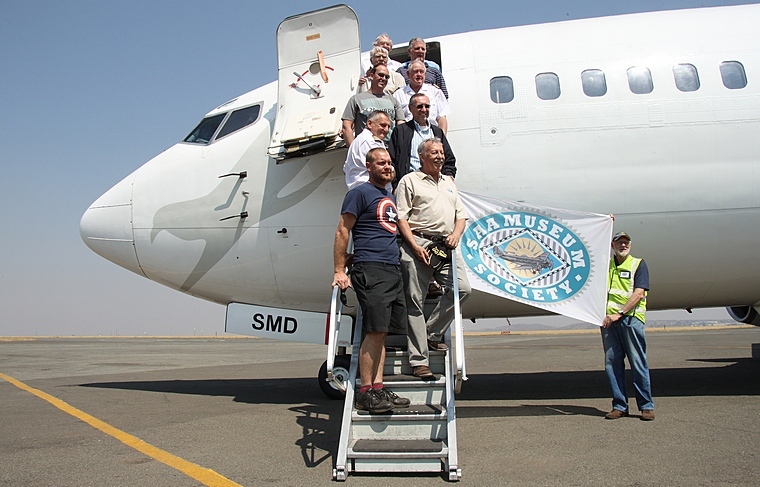 Projects like this does not just happen and if it wasn't for Fabian Bachrach and Peter Annear of Star Projects, Hennie Delport of Phoebus Apollo Aviation, Stuart Coetzee and Paul Roberts of Rand Airport, Peter Frame of Swissport and the team of volunteers from the SAA Museum Society the fate of another legendary example of civil aviation would have been sealed. We all owe them a debt of gratitude for having the foresight to preserve our aviation heritage.